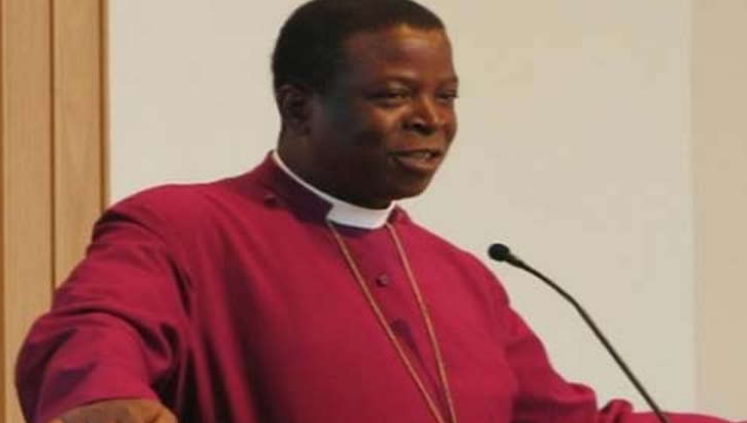 Archbishop Nicholas Okoh, chairman of Global Anglican Future Conference (GAFCON) Primates Council, has expressed gratitude for his fruitful tenure in the last three years. Okoh, who is also Archbishop of Abuja Province and Primate of the Church of Nigeria, Anglican Communion, stated this in his final letter to the faithful of the GAFCON Movement on Thursday in Abuja. In his valedictory letter to the council before handing over to his successor, Archbishop Foley Beach, Okoh, the arrowhead of global family of authentic Anglicans standing together to retain and restore the Bible to the heart of the Anglican Communion, arguing that GAFCON represents the majority of the world’s practising Anglicans. “As I look back over nearly three years in which I have been privileged to serve the cause of the gospel in this way, I am full of gratitude to Almighty God for his continued favour. By His grace, we have gone far, but it is because the Lord has helped us. “Just as Samuel raised his Ebenezer, the stone of remembrance, I also humbly ask that we remember and do not forget how God has blessed this movement far beyond what we deserve and far beyond what our own efforts could have achieved. “Those of us who were present at GAFCON 2018 in Jerusalem, the largest Anglican global gathering in 50 years, representing 50 countries with nearly 2,000 delegates, including more than 300 bishops, as well as some 750,000 of you who shared the experience online, will remember the joy and freedom of that great event as we saw before our own eyes what the Anglican Communion can become. “It truly gave us hope and a foretaste of our heavenly home, of every tribe and nation gathered in worship of the Triune God, and we came away inspired that Anglicans around the globe are recovering their vocation of proclaiming Christ faithfully to the nations. “By God’s grace, GAFCON has grown into much more than a conference. It is a growing presence now established in 22 Provinces and its Primates Council represents the majority of the world’s practising Anglicans. In 2017, the Gafcon Primates Council authorised the consecration of a missionary bishop for the UK and Europe, recognising the spiritual crisis of the established Anglican churches in that region, and in 2018, following the precedent of the Anglican Church in North America ten years previously, the new Anglican Church of Brazil was recognised as Province of the Anglican Communion. “During the GAFCON 2018 Conference, nine global networks were launched which gather faithful Anglicans from around the globe to take action together as a way of putting into practice our solemn commitment to proclaim Christ faithfully to the nations. Even as I write, the Church Planting Network leaders are at the Caminemos Juntos conference in Chile helping to develop a strategic church planting initiative in South America and the Sustainable Development Network has coordinated a very generous response to the Cyclone Idai disaster focussing on relief in Mozambique and the rebuilding of lives and livelihoods to follow. Crucially, these initiatives, along with all of Gafcon’s work, are now supported daily in prayer by supporters around the world thanks to the work of the Prayer Network. “We shall soon be sharing with you more news of Gafcon network initiatives around the world and the vision for realising their great potential to make the good news of the gospel known and experienced. I humbly ask that just as we have seen the generosity of God in blessing the GAFCON movement, we will be generous in our giving so that there will be no hindrance to the wonderful work of these networks in proclaiming, partnering, planting, equipping, comforting and sustaining. “Remembrance of God’s mercy in the past strengthens faith to face the challenges of the future. As the increasing confusion about Lambeth 2020 demonstrates, there is no middle ground between faithfulness and false teaching. The crisis of the Anglican Communion is spiritual and it is essentially the same as that of God’s people in the time of Samuel. False tolerance of religious leaders who have ‘no regard for the Lord’ (1 Samuel 2:12) brings disaster and we must continue to stand firm for the faith as we have received it. My successor, Archbishop Foley Beach, is one who has been tested and paid the price of standing firm. God is blessing us with a godly and wise leader who loves the Lord Jesus Christ and has the heart of an evangelist. Keep him and all the Primates Council in your prayers as they gather in Sydney at the end of this month,” Okoh said.